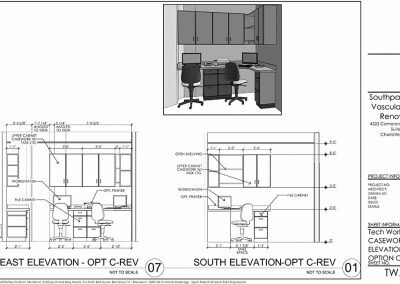 Due to the increasing need for this modality, Charlotte Radiology decided to rework and juggle a few interior spaces at the core of their 12,000 sf upscale office in the prestigious SouthPark area. 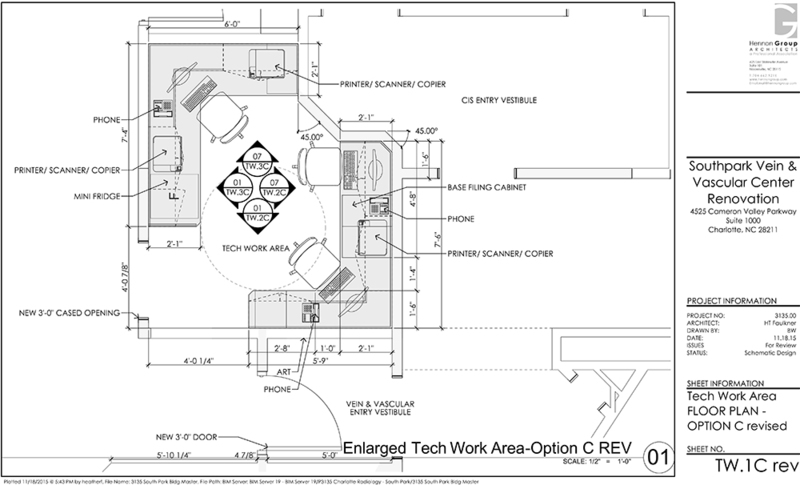 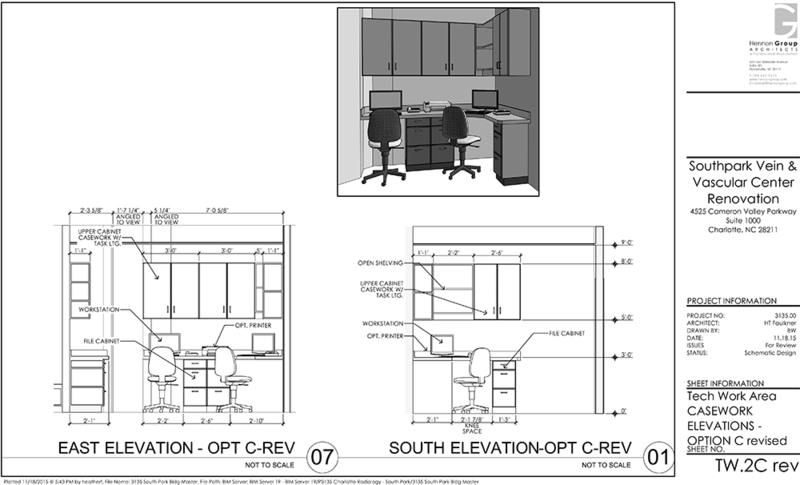 This office includes the Breast Center, Carolinas Imaging Services, as well as this project, The Vein & Vascular Center. 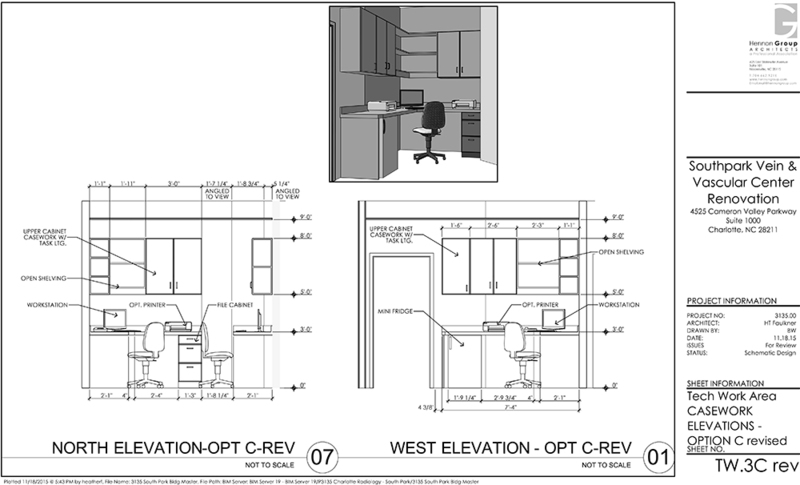 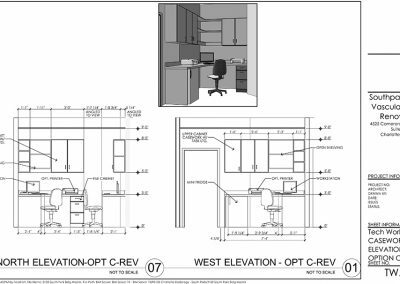 Team members at HGA had designed the original office 8 years prior and now evaluated the current conditions reviewing the programmatic requirements, work flow, storage areas, and patient amenities. 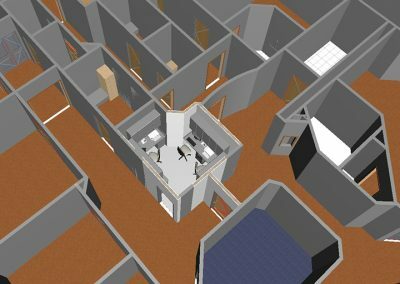 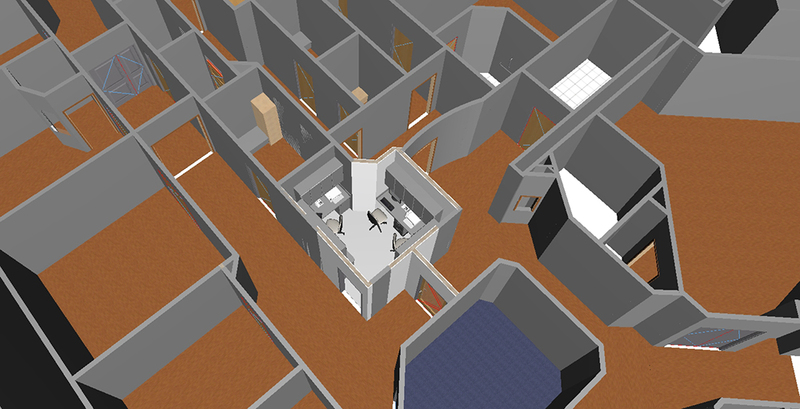 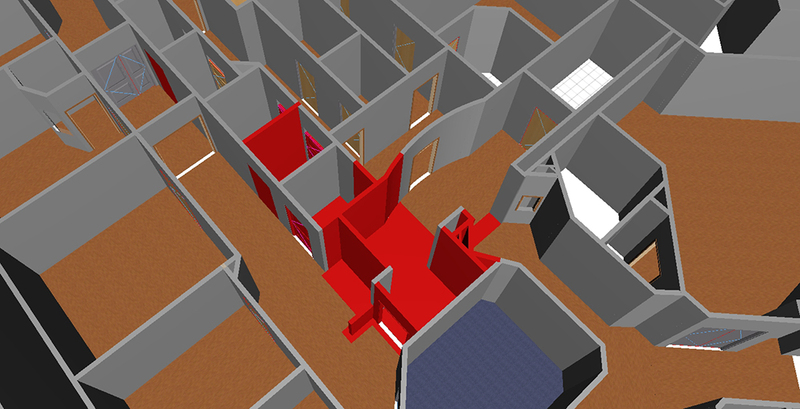 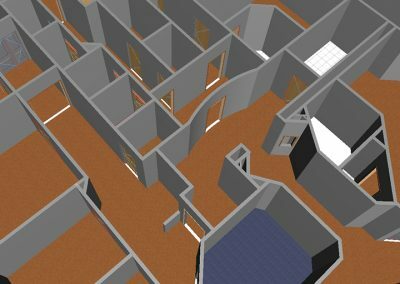 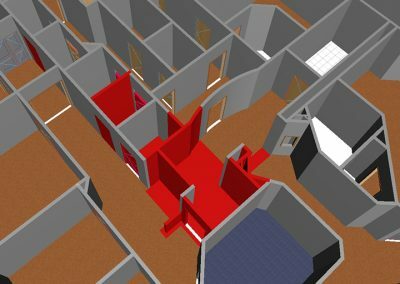 Utilizing Building Information Modeling, HGA quickly provided several options via 3D views to the Owner to review with the Doctors and Techs who would be the end users of these spaces. 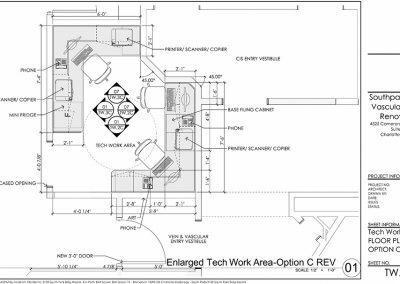 This also allowed the General Contractor to quickly price the options so that they could proceed once a decision was made.